I was given this meg tooth to add to my collection of teeth I find in a South Africa. Initially I thought the root was incomplete but I’ve since noticed the root has two symmetrical dimples on the top unlike any other tooth I have, any help with identifying why this is would be greatly appreciated. Im not a tooth guy but I find this interesting. Looking forward to seeing what other will have to say about it? It is very interesting looking, but I think it is incomplete. When shark teeth grow they start by forming the enamel and then filling in the dentin before forming the root. This could be an unerupted tooth with a partially formed root. 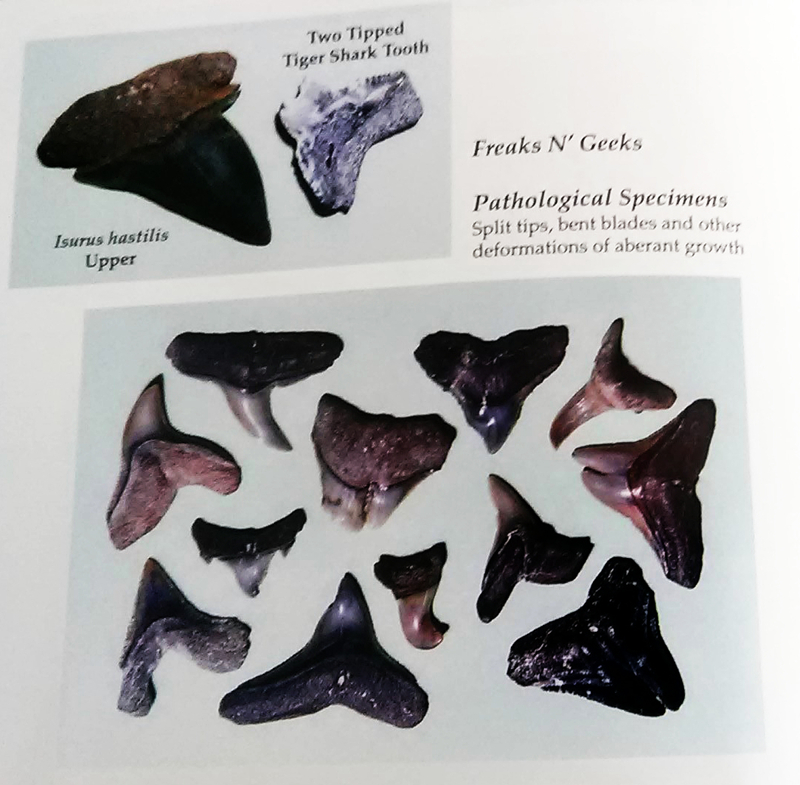 In my shark tooth book they talk about Freaks n Geeks. See scanned page below: Split tips, two-tipped tooth, bent blades and other deformation of aberant growth. Your tooth could fit in this category. Look at the Isurus hastilis Upper. I dont believe your tooth is pathologic its just like ynot said an unerupted row tooth. Thanks for the input, that would explain the ridiculous serrations but not the ding on the tip. I’ll see if I can do more research on unerupted teeth. 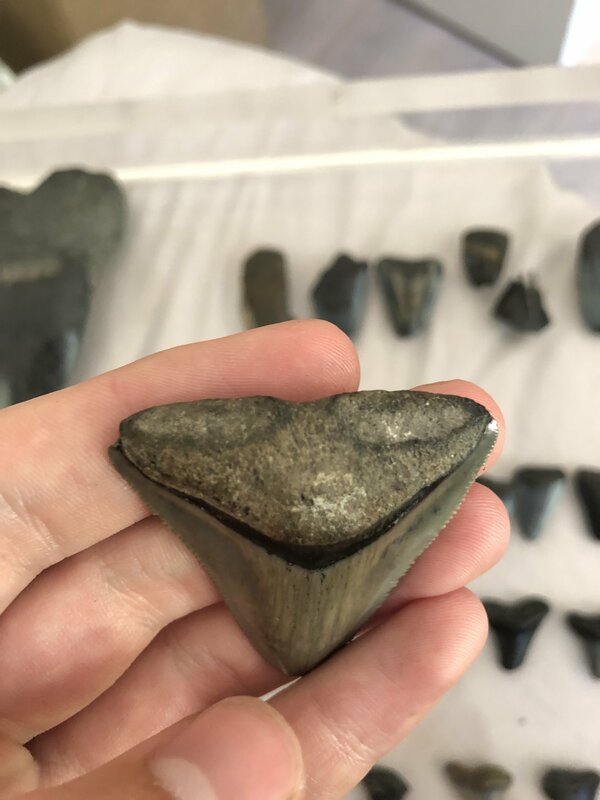 The tooth crowns are fully exposed in the back row of a shark's dentition but the teeth don't have a fully formed root yet. Your tooth does look like a back row tooth. However, if the tip of your tooth is dinged from feeding damage, that would mean it was from an active tooth row. 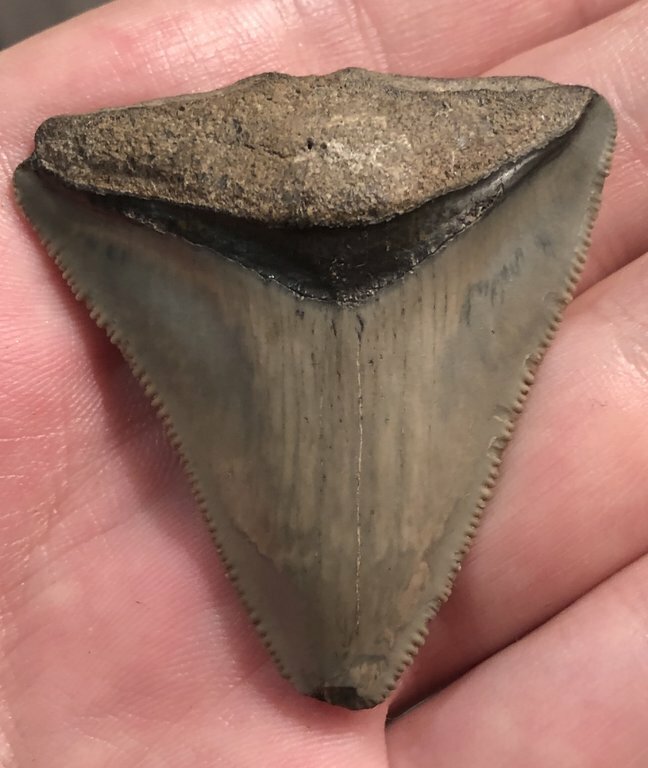 With a megalodon, most likely a first row tooth. 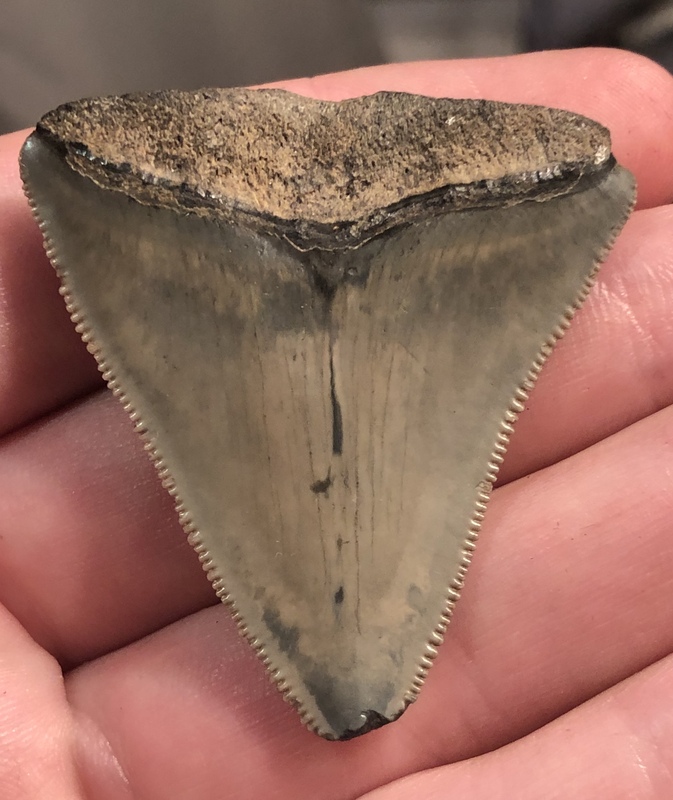 It is possible that the tip got dinged after the tooth fell out of the shark's mouth but the ding does look like feeding damage. It is more likely that the root got damaged after the tooth fell out. I've seen lots of roots sheared in very symmetrical ways by cliff slides where part of the tooth goes with the slide and part stays in the cliff. It is also possible that a disease or injury pathology prevented the root from fully forming.